Global Warming: the theory that the temperature of the earth is rising, especially as a result of human energy consumption and pollution. Posts in this category pertain to exposing the bias and political agenda, and refuting the poor scientific methods, research, and analysis, of the Anthropogenic Climate Change movement. 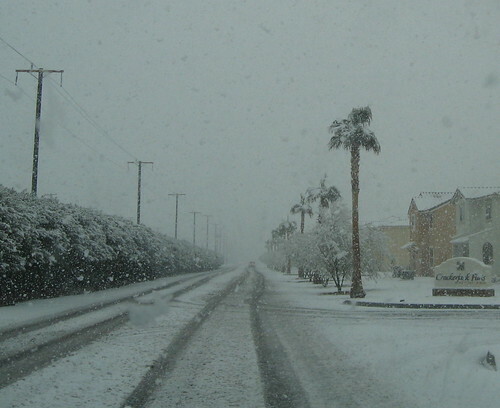 While Al Gore was in Europe, predicting that "the entire North Polarized cap will disappear in 5 years" due to global warming, the southern California desert was getting blanketed in snow. Irony, thy name is Al Gore. UPDATE: Thanks for the mention, Gateway Pundit.